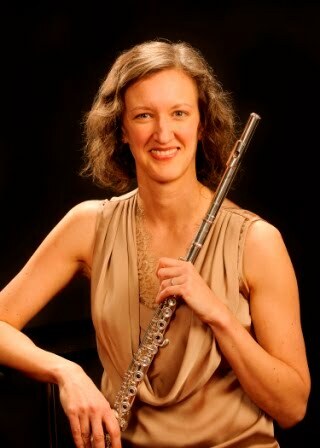 Nicole Riner, flutist: Talent Isn’t Everything! Studies conducted in a wide array of fields in the past 30 years have changed what we think makes a person great. Some researchers now argue that the existence of specific, innate abilities is a myth. No one is naturally born to do anything. In studies of successful professionals, researchers have found athletes who were terribly clumsy in childhood and international chess masters with below-average IQs. Deliberate Practice (William Chase and Anders Ericsson) states that it takes at least ten years to show results. Practice must be lengthy, regular, and intelligently designed in order to lead to improved performance. Practice Tricks: visit "Tips for Creative Practice" for advice from the UWYO flute studio! The teacher is crucial in guiding correct kinds of practice by assigning useful exercises, teaching for efficiency, and being persistent with a firm but flexible structure in lessons. Identify promising performers early: starting early allows the body and brain to develop in advantageous ways (not to mention developing good habits from the start). Chunking of material expands memory, and repetition is crucial: the development of myelin around nerve fibers and neurons in the brain, which makes those fibers and neurons more efficient, occurs by sending the same signal through the nerve fibers again and again. Choose exercises for your students that push them beyond what they can currently do and allow them to build the skills that are important. Allow students to not always be perfect so that they learn to continue striving and learn how to cope with failure. Students need frequent, rapid, and accurate feedback. Inspiration, not authority, is the best model for motivating your students. Lead by example, and get parents on board, as well. Mihaly Csikszentmihalyi, University of Chicago, studied adolescents who were academically outstanding and found that an environment which is both stimulating and supportive at home was a salient feature. -the process in which what was difficult becomes both easier and more pleasurable. -long-term dedication to the journey, not the bottom line. -gaining mental discipline to travel further on your journey. -realizing that the pleasure of practice is intensified. -knowing that you will never reach a final destination. -being diligent with the process of mastery. -maintaining your commitment to hone your skills. -after you have conquered one hurdle, jump the next one. -being willing to practice, even when you seem to be getting nowhere. -being patient while you apply long-term efforts. -practicing for the sake of practice. -winning graciously, and losing with equal grace. -placing practice, discipline, conditioning, and character over winning. -being fully present in the moment. -maintaining flexibility in your strategy and in your actions. Colvin, Geoff. Talent is Overrated: What Really Separates World Class Performers from Everybody Else. New York: Penguin Books, 2008. Daniel Coyle. The Talent Code: Greatness Isn’t Born, It’s Grown. New York: Random House, 2009. Gladwell, Malcolm. Outliers: The Story of Success. New York: Little, Brow, & Company, 2008. Greene, Don. Fight Your Fear and Win: Seven Skills For Performing Your Best Under Pressure--At Work, In Sports, On Stage. New York: Broadway Books, 2001. Leonard, George. Mastery: The Keys to Success and Long-term Fulfillment. New York: Plume Books, 1991. Loehr, James. The New Toughness Training for Sports: Mental, Emotional, and Physical Conditioning from one of the World’s Premier Sports Psychologists. New York: Plume Books, 1994. Mack, Gary and David Casstevens. Mind Gym: An Athlete’s Guide to Inner Excellence. New York: Contemporary Books, 2001. Werner, Kenny. Effortless Mastery: Liberating the Master Musician Within. New Albany, IN: Aebersold Jazz, Inc., 1996.